Draft: 2011, Seattle Mariners, CBth rd. Carter Lewis Capps...graduated from North Lenoir (NC) High School in 2008 before attending Mount Olive (NC) College...earned 2010-11 Carolinas Male Athlete of the Year after going 14-1 with two saves and a 1.75 ERA in 20 games (15 starts)...established a NCAA Division II record by earning 24 consecutive wins over 2010 (10-0) and 2011 (14-1) seasons...honored as Division II National Pitcher of the Year following 2011 campaign. Missed the entire season after undergoing Tommy John surgery on his right elbow on 3/8 while with the Miami Marlins, beginning and ending the season on the 60-day disabled list. Acquired by the Padres on 7/29 from MIA via trade. Split campaign between Triple-A New Orleans and Miami, combining to go 1-2 with 1.37 ERA (46.0 ip/7 er) in 43 appearances. Recorded 68 strikeouts (13.30 SO/9) compared to just 17 walks...Opened season at Triple-A New Orleans, going 0-2 with three saves in four chances and a 1.80 ERA (15.0/3) in 13 games...Allowed just one earned run (three total) over final 11 appearances (14.0 ip)...Recalled by Miami on April 13 and made one appearance before being optioned on April 15. Made season debut on April 13 at Atlanta, tossing scoreless eighth inning...Tossed Minor League season-high 2.1 innings to earn save on April 22 at Iowa, allowing one hit while walking one and striking out five...Recalled for second time on May 19 and in 23 appearances prior to All-Star break went 1-0 with a 1.42 ERA (25.1/4)...ERA tied sixth-lowest by Marlins reliever prior to break in Club history (min. 20 games)...Recorded career highs in innings pitched (3.0) and strikeouts (6) on May 23 vs. Baltimore, while earning first win since September 6, 2013 vs. Tampa Bay as member of Seattle...In that game, struck out in first career plate appearance. In second at-bat of season, June 3 vs. Cubs, singled to right field off Travis Wood for first Major League hit...From time of second recall to going on DL on August 3, led all MLB relievers with 57 strikeouts. Dellin Betances ranked second with 52...Struck out at least one batter in 28 of 30 Major League appearances, and recorded two-or-more strikeouts 17 times...Recorded 1+ strikeout in 18 consecutive appearances from May 30-July 12, marking longest single-season streak in Club history (T-2nd longest overall). Steve Cishek owns club record with 1+ strikeout in 21 consecutive relief outings from August 22, 2013 to April 22, 2014...Landed on 15-day disabled list on Aug. 3 with a right elbow strain and missed remainder of season. Missed majority of season due to right elbow sprain, finishing with no record and 3.98 ERA (20.1 IP/9 ER) in 17 appearances with Miami...Recorded 25 strikeouts compared to just five walks. Ranked tied for 11th among NL relievers in SO/BB ratio (5.00) with teammate Chris Hatcher (60/12), min. 20.0 innings pitched...Opened season at Triple-A New Orleans, making seven appearances with an 0-1 record and 1.64 ERA (11.0/2)...Earned promotion to Miami on April 23 and made season debut on April 27 at Citi Field against Mets, tossing 2.0 innings while recording three strikeouts...Tossed season-high 2.0 innings three times: April 27 at Mets, May 3 vs. Dodgers and May 15 at San Francisco...Came out of bullpen nine times before landing on disabled list on May 27 (retro to May 26)...Made three rehab starts between GCL Marlins and Class A Jupiter, with no record and 0.00 ERA (3.1 IP). Walked two while striking out four...Returned from rehab on September 1 and made eight appearances out of bullpen over final month. Allowed five runs in 8.1 innings (5.40 ERA) with two walks and 10 strikeouts. Started season in Mariners bullpen prior to three-week stint at Triple-A Tacoma in July/August. Ranked tied for third among Mariners relievers in innings pitched (59.0), while his 53 appearances ranked fifth. Among American League rookie relievers, had third-highest strikeouts/9.0 IP at 10.07, ranked fourth in strikeouts (66) and appearances, fifth in holds (9) and seventh in innings pitched. His 66 strikeouts were tied with Brandon Morrow for seventh-most by a Mariners rookie reliever. Trailed Enrique Romo (92 in 1977), Danny Farquhar (79 in 2013), Kazuhiro Sasaki (78 in 2000), Bill Wilkinson (73 in 1987), Yoervis Medina (71 in 2013) and Rafael Soriano (68 in 2003). Recorded first Major League win on April 18 vs. Detroit. Tossed season-high 2.0 scoreless innings while striking out three. Would equal innings total eight times over remainder of season. Tied career high with four strikeouts on June 25 vs. Pittsburgh. Optioned to Triple-A Tacoma on July 10 and made seven appearances with Rainiers before being recalled on August 6. Allowed three runs (two earned) in 11.0 innings pitched (1.64 ERA) with Tacoma. At the Major League level appearedin 18 games in relief, postinga 3.96 ERA (11 ER, 25.0 IP)with 28 strikeouts (10.08 K/9.0 IP) ... Recorded at least one strikeout in14 of 18 appearances ... Ranked 2nd among AL relieversin average fastball velocity at 98.3mph (FanGraphs.com) ... Made his MLB debut Aug. 3 atNew York (AL)...became the 3rdplayer from the 2011 draft class to make his MLB Debut (Trevor Bauer, Arizona & CodyAllen, Cleveland)...made his pro debut less than a year after making his MiLB debut withClinton (8/15/11) ... Made only 43 minor league appearances prior to making MLB debut (4 in '11, 39 in '12) ... Named the Mariners Minor League Pitcher of the Year combining to go 2-3, 1.23 ERA (7 ER,51.1 IP) and 75 strikeouts (13.1 K/9.0 IP) in 39 relief appearances with AA Jackson (38 G)and AAA Tacoma (1 G) ... Selected from AAA Tacoma July 31 after making only one appearance with the Rainiers...was promoted to AAA on July 27 ... In 38 appearances with AA Jackson went 2-3 with 19 saves and a 1.26 ERA (7 ER, 50.0 IP)...led the Southern League in saves (19), K/9.0 IP (12.96/72 K, 50.0 IP), 3rd in games finished(31) and 5th-lowest in walks per 9.0 innings (2.16) at time of promotion...struck out 72 battersand held opponents to a .212 (40x189) batting average ... Selected by Baseball America as the No. 19 prospect in the Southern League...also mentionedin the publications Best Tools survey for having the best fastball and as the league'stop relievers (voted on my league managers, coaches and scouts). Began pro career with Clinton, making 4 starts...pitched 4.0 scoreless innings but finished with 3 ER over 4.2 IP in pro debut on Aug. 15 at Peoria (4.2,5,3,3,1,6,WP)...earned first career win on Aug. 21 vs. Kane County (5.0,4,1,1,3,5,HR,HB)...participated in the 2011 Mariners Instructional League. October 9, 2018 RHP Carter Capps elected free agency. August 12, 2018 RHP Carter Capps assigned to El Paso Chihuahuas from Lake Elsinore Storm. July 1, 2018 RHP Carter Capps assigned to Lake Elsinore Storm from Tri-City Dust Devils. March 26, 2018 San Diego Padres sent RHP Carter Capps outright to El Paso Chihuahuas. November 6, 2017 San Diego Padres activated RHP Carter Capps from the 60-day disabled list. September 12, 2017 San Diego Padres placed RHP Carter Capps on the 60-day disabled list. Blood clot. August 7, 2017 San Diego Padres recalled RHP Carter Capps from El Paso Chihuahuas. July 17, 2017 El Paso Chihuahuas activated RHP Carter Capps from the 7-day disabled list. July 4, 2017 El Paso Chihuahuas placed RHP Carter Capps on the 7-day disabled list. June 10, 2017 San Diego Padres optioned RHP Carter Capps to El Paso Chihuahuas. June 10, 2017 San Diego Padres reassigned RHP Carter Capps to the minor leagues. 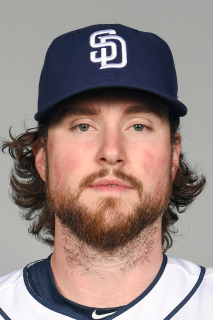 May 21, 2017 San Diego Padres transferred RHP Carter Capps from the 10-day disabled list to the 60-day disabled list. April 16, 2017 San Diego Padres sent RHP Carter Capps on a rehab assignment to El Paso Chihuahuas. April 11, 2017 San Diego Padres sent RHP Carter Capps on a rehab assignment to Lake Elsinore Storm. April 1, 2017 San Diego Padres placed P Carter Capps on the 10-day disabled list retroactive to March 31, 2017. November 7, 2016 San Diego Padres activated RHP Carter Capps from the 60-day disabled list. October 5, 2015 Miami Marlins activated RHP Carter Capps from the 15-day disabled list. May 19, 2015 Miami Marlins recalled RHP Carter Capps from New Orleans Zephyrs. April 16, 2015 Miami Marlins optioned RHP Carter Capps to New Orleans Zephyrs. April 13, 2015 Miami Marlins recalled Carter Capps from New Orleans Zephyrs. March 24, 2015 Miami Marlins optioned RHP Carter Capps to New Orleans Zephyrs. September 1, 2014 Carter Capps roster status changed by Miami Marlins. August 30, 2014 Miami Marlins sent RHP Carter Capps on a rehab assignment to Jupiter Hammerheads. August 25, 2014 Miami Marlins sent RHP Carter Capps on a rehab assignment to GCL Marlins. April 23, 2014 Miami Marlins recalled RHP Carter Capps from New Orleans Zephyrs. March 25, 2014 Miami Marlins optioned RHP Carter Capps to New Orleans Zephyrs. December 13, 2013 Seattle Mariners traded RHP Carter Capps to Miami Marlins for RF Logan Morrison. August 6, 2013 Seattle Mariners recalled Carter Capps from Tacoma Rainiers. July 11, 2013 Seattle Mariners optioned Carter Capps to Tacoma Rainiers. July 31, 2012 Seattle Mariners selected the contract of Carter Capps from Tacoma Rainiers. July 27, 2012 Carter Capps assigned to Tacoma Rainiers from Jackson Generals. April 4, 2012 Carter Capps assigned to Jackson Generals from Clinton LumberKings. March 9, 2012 RHP Carter Capps assigned to Seattle Mariners. August 13, 2011 Carter Capps assigned to Clinton LumberKings from Seattle Mariners. August 10, 2011 Seattle Mariners signed RHP Carter Capps.